Here are the 6 debt solutions that work best. List the names of the banks and the balances on each account. I can help you identify what your settlements are going to look like form a cost and time basis. If you have accounts that don’t currently get aggressive with collection, it can change my feedback about getting settlements out of the way as quick as possible. Had a stroke at 37 years old and have not been able to work for 2 years with a low probability of ever returning to full-time work. I was without income for 18 months until finally receiving my employer LTD benefit (less 30% legal fees). I have not been able to keep up with credit card payments for the past year (had no idea Cigna would give me the runaround like they did). Anyway, I have received a lump sum back payment plus a monthly reoccuring payment of 60% of my previous income. I am not sure if I should settle my credit cards at this point. I owe Chase, B of A, Discover and Citi. Chase is by far the largest balance of Approx. $20K. I have explored bankruptcy, but I have some income producing real estate assets I cannot protect and even my paid for vehicle is above the state limit for exemption. Given my overall situation (I have told the banks about my inability to work due to health issues and that I was awaiting disability), should I try to settle? If so, what percentage should I try? I am just afraid to liquidate all of my lump sum payment because I just won’t be able to make it up with future earnings unless something drastically changes in my health, and I still have expensive health care needs.. What are the chances I would be sued, and what could I expect the court to do with my LTD income and/or assets? I am just not sure what to do and have always paid my debts up until this point. Fill in the talk to Michael form in the right column. When I see that I will email you to set up a phone time together. You can also reach me at 800-939-8357 ext 2. I want to get good deal more details before I suggesting settling the debts that are most likely to escalate. What state do you live in? How much equity do you think there is in your home? How many children do you have? List the banks that you owe, the approximate balance and interest rates. With that information I can make a comparison of all your main stream options while comparing total costs and time to completion. That will allow you to make some side by side comparisons and choose the option that most fits your situation and goals. I live in Pennsylvania with my three children. I am unsure about equity but there is 130,000 left on my mortgage and the Bank of America appraisal value in 2013 came in at 150,00 when I applied for refinancing. My refinance was denied. If the quote Freedom Debt Relief gave you is attractive on the monthly affordability angle, I would not do it. You could get around the same monthly payment working through a credit counseling agency where your debts will be paid in full in under 60 months, and you will not have your credit score hit, and also will not have to worry about being sued by several of those creditors you list. Call and talk to a credit counselor for free at 800-939-8357. ext 1. Get an exact to the penny quote of what your payment would be. 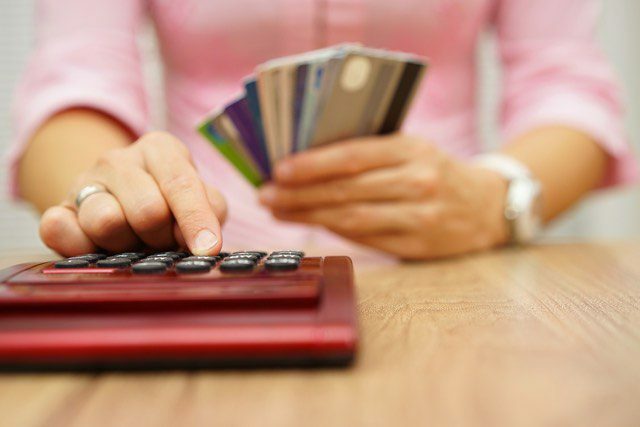 Read this article where you can better compare credit counseling with debt settlement. If you make less than about 78k a year in Pennsylvania you can qualify for chapter 7 bankruptcy where you would potentially wipe out all of this unsecured debt for about $1500. The issue with the house is whether the trustee would let you keep it. It is often free to talk with one or more local bankruptcy attorneys. Connect with a couple and get clear understanding of what bankruptcy would look like for you. Settling debt, if all you can do is raise the monthly amount Freedom Debt quoted you, is not a great idea. I would only encourage it if you can get money faster. American Express, Discover, Capital One, and debt buyers for Lending Club and Synchrony, all sue. That can really mess up your settlement program. If you do settle, I would not do those small balance accounts under, say 1500. Those balances will inflate to a place where you are paying what you owe today when you later settle. Not worth it. If you like, you are welcome to connect with me for a free phone consult. Fill in the talk to Michael form in the right column. I will get that and email you to set up a time. My situation is unique as I am not in trouble yet. I have 24k in cc debt. I am only able to make minimum payments, but I make them on time. I just got laid off 4 days ago. I have enough money to get me through the end of the year paying all my expenses. Starting in Jan I will be living 100% on unemployment. At that time I will not be able to make any of my minimum payments. It’s about 8 cards. I’m terrified. It’s the worst time of year to find a job and I can’t even concentrate on that because I’m terrified of not being able to pay my bills and cc companies hounding and suing me. Unless I find a job making as much as I used to make, I won’t be able to pay the minimums even when I get a job. If I let the cc payments go now, a prospective employer may run a credit check and it could cost me the job. I need to figure out this debt situation or I will not be able to focus on my job search. Given the situation, I would find a bankruptcy attorney to consult with about your options in a chapter 7 before I make my next credit card payments. If chapter 7 is the route to credit card relief, you’re attorney would likely advise not making any more payments. That means you could cover the costs of filing bankruptcy with the money on hand. You do not have to file right away. You could see about finding a new, and equal or better paying job. What type of work do you do? Concerns over credit checks can mean more depending on the industry. I have a lot of debt right now. Credit card debt collectors have been blowing up my phone non stop. I’m so stressed out that my depression and anxiety have multiplied tenfold. I’m just completely overwhelmed. How can I finally start to go down a financial path where I’m not constantly worrying about how I am going to pay for things. Read through all of the options I outline above. Which make sense for you given your current financial abilities? Sometimes there is more than one option to look at. Tell me what makes sense to you, and then I can help you whittle the list down from there. You have – by far – the most informative site online today – thank you! I have incurred the following debts over the past 3 – 6 months (along with some smaller medical / other debts). I have made no contact with any of my creditors, but plan to begin on Saturday. Capital One CC – $3,477 total; account charged off to Client Services, Inc.
What would you advise in my case? Credit counseling for the three credit cards that remain with the original creditor? A hardship payment plan/long-term debt settlement plan? Chapter 7 bankruptcy? Thank you again – I’m deeply indebted to you for the advice you offer on Consumer Recover Network! You can enroll all of the debts into a credit counseling option, even the ones with outside collectors right now. Call in and get an exact quote of what your lower monthly payment would be at 800-939-8357, ext 1. If that payment is not within reach, you may be looking at settling, at least for the ones you are not current with. Check out this page where all of your banks are ranked for settlements either directly, or when the accounts are with a third party collection agency. Post an update once you calculate the savings I outline on the rank a bank article, and tell me how long it will take you to pull together and/or save that amount of money. I can better help you assess settlement that way. Nothing competes with chapter 7. Not for time, or savings, but there are qualifications to meet, and reasons to try to avoid it. The best way to learn about it is to consult with a local and experienced bankruptcy attorney. I have been a Sergeant with a Sheriff’s Department in California for about 20 years. I was seriously injured on duty and required surgery. Following the surgery, the doctor’s restrictions prevented me from performing my duties. I was subsequently forced to medically retire due to the service connected disability. After applying for the retirement, it took several months to be approved by the retirement board. For the last two months of waiting for the board’s approval, I ran out of sick leave and received $0 in income for two months. Then we had no earned income. We made it through the next 5 months from our savings and $529 biweekly Worker’s Comp payments. My income had been $92,551.15 per year. My wife works as a Substitute Health Clerk at the local school district and earned $7025 last year. I have been actively seeking employment, but need a job that provides health insurance. As of 8/31/16, I have began receiving pension payments of $3860.30 per month. About half of what I had been earning. The pension coupled with the worker’s compensation payments should allow me to stay current with our mortgage, medical (hopefully,) monthly utilities, and groceries; but nothing else. We have been without health insurance for just about 3 months. The first and third month, we had a minimum of hospital visits and I think it would be cheaper to pay the hospital directly as opposed to paying for Cobra coverage; however, during the second month my daughter was injured, requiring a visit and MRI. My plan, should it be allowed by Cobra is to activate Cobra retroactively for that second month only and pay any other medical bills out of savings/income. I must do this before the end of this month when the Cobra enlistment period ends. If allowed, one month of Cobra medical coverage will cost about $2000. When I realized I needed to extend my savings should it take me longer to find a job than expected, I contacted my mortgage company and credit card companies. I explained my position. My mortgage company (Citi Mortgage) has been working with me to get into a hardship program. I have missed one payment of $1600 with them. My last payment to them was on 8/1/16. We have 4 credit card debts. Chase Visa ($1000) which is where we also have our primary checking and savings accounts so I have been making a minimum payment of $25 to that card. We have a US Bank card with a current balance of $15473.79. I made my last payment to US Bank on 6/17/16. We have two USAA credit cards. The first one has a balance of $26,751.48. I made my last payment to that account on 7/17/16. The second USAA card has a current balance of $4077.78. I made my last payment on that account on 6/25/16. We also have our home insurance through USAA paid via escrow account and auto insurance through USAA which I am current on. I have kept current on the remainder of our utility bills. Both US Bank and USAA have offered to have me apply for their hardship programs; however, I have declined because that would close the account which I would prefer not to do. I have communicated with the credit agencies regularly that I plan to find a job, catch up on the medical bills, then begin making payments to the credit card companies again. Hopefully at an amount that would allow me to keep the accounts open and eventually pay them off. I have told them I had no plans of defaulting on my debts and am planning on repaying my debts fully. Now, I worry that even if I immediately find another job, with it taking two weeks to begin receiving pay, and after paying the medical bills, I won’t be able to pay enough to the credit card companies to convince them to keep my accounts open. Now, today, I received a letter from “Debt Helpers” saying they were aware of my financial situation and offered to settle my debt of $41,000 (which I figure is a combination of the US Bank card and the larger balance of the USAA cards, but not the smaller balance USAA card) for $20,500 paid at $569 a month for 36 months. They do say upon completion, my accounts will be considered settled and closed and reported to consumer reporting agencies as “account paid in full for less than half the balance.” They have a Contact By Deadline of 9/22/16. As embarrassed and dishonorable as I feel, I don’t believe I’ll be able to keep my promises to the credit card companies and am considering the settlement. Before I did anything, I have thoroughly read through your site and reviewed your videos. I am impressed by the way you indicate you run your business and wanted to receive your input and possible retention. One last piece of information is that I do not believe I would be able to come up with a lump sum, or even 3 month payment settlement. So, please advise as you can. Thank you for all the information you have provided on your website and thank you in advance for your advice! Your accounts with USbank and USAA are going to get closed regardless if you miss another payment, and they could close them now, or even if you brought them current. Before you look at settling the debts, I would encourage you to speak with an experienced bankruptcy attorney about your options with chapter 7. If you qualify for a 7, you could be in and out for less than 2k and resolve all the debts, even medical. If you cannot or will not file chapter 7, then let’s connect on the phone for a consult. I am going to want to find out how you can raise roughly 6500 to settle with USbank, and also how you can raise 12,800 to resolve the debts with USAA. Getting things wrapped up with the settlements inside of 18 months will be ideal. Would the $17,300 have to be made as a lump sum payment or could it be paid over a period of time? Both can be set up over time. Thank you. I will be contacting you via phone! Thank you, Michael, for your reply. I agree the math favors bankruptcy, but I do have a few special considerations. First, my wife and I are both 62 and social security eligible with modest savings. She had a stoke 4 years ago but is in good health now. I’m concerned that we may face another health crisis within the next 8 years and I would not be able to have further recourse in case of high medical bills. Settling with B of A preserves that “out” for us. I have the C7 petition prepared and am ready to file. When I call B of A would you have any guidelines on starting points? If they sold the accounts they would get X%.. If I file before they sell the accounts they get 0%. I can go to 13K but no more and would prefer it to be less…like 10K. You can often stay uncollectable for the 8 year delay between being able to file chapter 7 again. Not a great place to be at all, but the system and policies exist for these situations. You will be hard pressed to get 10k, or the 13k. It does not matter what BofA sells the debt for, or if they sell the debt at all. That does not factor in for you or them as far as them accepting your offer. They do not think that granular on something like this. Thank you for your service! I live outside of Houston, TX. 2 1/2 years ago I lost a well paying job and was out of work for almost a year. We had to sell our house to raise money to pay expenses. With the proceeds we paid down as much debt as possible but have 3 Bank of America credit card accounts with balances totaling $65,000 remaining. We couldn’t afford the payments and sought the advice of a local attorney who advised us to stop paying on them and wait to get sued. They were sent a cease and desist letter to keep them from harassing us with collection calls. If we were lucky the statute of limitations would run out and it would be over. All three cards have charged off in 2014. Out of work again for the 3rd time in the last 4 years, we are ready to file Chapter 7 bankruptcy to end the nightmare and move on with our lives We have no other debt and have reduced our living expenses dramatically. I have retained another attorney to file the C7 and the Bankruptcy Credit Report indicates that BofA still holds the debt as best as I can determine. Now my question: As we are ready to pull the trigger on a chapter 7 bankruptcy filing to eliminate the Bank of America credit card debt of $65,000, in your opinion would it be prudent to try to settle for 10-20% of the balance and avoid C7? Once we file, they get nothing. I’m essentially buying my way out of a BK on my credit report (yes my credit has tanked with the charge-offs) but this would bring all my account balances to $0 which over time will help my score. I have that much money in protected IRA funds to contribute and I do qualify for C7 in Texas. Thanks for your help. Assume you could settle with BofA for 20%. That would run you 13k. If there are any penalties or taxes for the IRA withdrawal you are looking at more cost. Compare that with a chapter 7 bankruptcy that will run you less than 2k total. In theses situations you would have to not qualify for chapter 7, be forced to sell exempt assets that you do not want to (or that could be sold privately in order to fund better settlements), or have some compelling reasons to want to keep out of bankruptcy. — I have approximately $20k in credit card debt on 4 cards. — My credit score seems to hover between 650-690, depending on the agency. Who are the creditors, approx balances and interest rates on each account? Do you have any major financing goals in the next 3 years? Is your business profit at the floor currently, or could it go down further? I want to determine how reliable your income is. All of those lenders will work with a nonprofit agency to consolidate your payments to a lower fixed monthly amount. This is not a loan, but prearranged interest rate concessions. The fixed payment will last on average 52 months; the debts are paid off; and your credit score left intact. I would suggest you start looking into that option by calling a counselor and getting an exact quote. Call 800-939-8357 and press 1 when you hear my voice pick up. That will connect you to the largest nonprofit debt consolidation company in the country. If you have the extra budget bandwidth (it does not take much) you could look at implementing your own debt roll-up repayment strategy. Review that post to get a visual of how much you can accomplish in a really short time frame. If neither of those approaches is workable for you than it would be good to look at debt settlement next. Michael, I’m over 100k in debt from credit cards to unsecure personal loans. I’m at the point where the bills monthly are more than my monthly paycheck. I’m behind now on a few of them. Just can’t make the minimum payments. Don’t have any assets besides a car. Is Chapter 7 a good option for me? Chapter 7 is the best debt relief option for someone swimming in too much debt. It is the first thing I want you to consult with someone about.Read over my article about how to pick your bankruptcy attorney and follow the tips I give. If you learn something that will prevent you from filing chapter 7, or you can discharge all of those unsecured debts, but want to compare it to settling debt for less, than call me for a consult. Get the attorney consult out of the way first. Hello Michael. I am a 67 year old single retired person. I live in Mississippi but most of my working years was in Chicago IL. I moved here to Mississippi after I retired because I could no longer afford to live in Chicago. Before I left I attempted to refinance my home in hope of being able to stay in my home. I spoke with the bank and was informed that I could refinance but the difference in my payments was not helpful. I then decided to rent out the property. The worse mistake of my life. Anyway at this point I cannot afford to keep the house and pay to live where I have to live for the last 3 years. I do not want to file bankruptcy so I am now attempting to sell the house through a short sale. I have a Realtor and a short-sale lawyer working on this for me. I am attempting to do what I feel is the right thing. I did not want to walk away from my mortgage unless I am forced to. I receive a pension and a small Social Security. So far I have just been able to keep my head above water but only by going through my annuity. At this point I am scared and desperate and have no idea of what to do next. Am I doing what’s best? I moved your post from my about page to this one that covers the most common types of debt relief. I encourage you to read the original article above, and deep into the comments. Given your age and fixed income, and the limited amount if detail I have to go on, I see you falling into either the do nothing, or the chapter 7 camp. If the short sale goes through without you have to agree to repay any deficiency than perhaps you do not need to file chapter 7 bankruptcy. If the only way the short sale gets done is by you signing a promissory note, and depending on the amount, I would then look to discharge that debt. If it is a small amount than perhaps settle that for less, but it would have to be a small amount. You need your cash flow moving forward more than they do. The fastest and least costly option for you will be chapter 7 bankruptcy. I understand not wanting to file, but you owe it to yourself to learn what you need to about the benefits to you. I want you to read 2 articles on this site, and then consult with one or two experienced bankruptcy attorneys. If you are unable or unwilling to file bankruptcy after you consult with an attorney, I want you to call me for a free consult about your alternatives at 800-939-8357, press option 2 to get to me. I have got myself way in over my head. I am 80,000 in credit card debt on 4 different accounts. 36, 20, 10, 10. Been making the minimums on each and getting nowhere with them. And now my payments along with my rent/expenses are over what I take home per month. Basically going under as I am trying to pay them off. I have a full time job, college degree and some grad school but now basically bankrupt if I keep paying these minimums. It would help to know the interest rates on each credit card. Also, when you refer to hurting your future, what types of financing goals do you have in the next 36 months (buy a home, car, additional student loans for yourself or a child, etc)? I have no interest in a home in the next 3 years and I presently do not have children. If I factor the average monthly payment reduction available to you through a credit counseling agency debt management plan it would be roughly $1680.00. It is possible your payment would be slightly lower than that. The best way to get an exact to the penny quote of what your monthly payment can be consolidated down to is to call 800-939-8357, and choose option 1. That is going to connect you to a non profit debt consolidator where you can have a free consult with a counselor and get through some income and budget questions to arrive at an exact quote. If your running out of money before you run out of month, it is possible you could get the lowest payment quote possible, which I estimate to be around $1360(based on 80k of debt accepted into the consolidation program). If that consolidation quote is not enough payment relief, your next step would be to look at how settling some or all of the debts could help you. Post a reply and identify the bank with each balance owed. I will reply with an estimate of what it will take to settle the accounts. That will help you understand some timing factors that can then be planned for in order to reduce your exposure to aggressive collection tactics. The debt consil quote i got was for 1600. Been pondering bankruptcy because it is getting too big for me at the moment. If you can qualify for chapter 7 bankruptcy – where you would discharge the credit cards – I would suggest consulting with an attorney. You can reach one through that same debt relief hot line number I gave you above, only press option 3. If you want to reach me and talk about settling the credit card you press option 2. Assume you could settle all of the above credit card balances for 33 thousand after they went without being paid for a while. Using any and all resources you can think of, how long would it take you to come up with that amount of money? Having gotten myself in a serious jackpot of debt at about $45,000 (All at 0% promotions), these 0% will be expiring soon and am seeking info from different debt relief/settlement companies. They all to seem to be as dishonest as the next one and they tend to “bad-mouth” each other. I’ve also seen 2 bankruptcy attorneys, who just about held their hands out for “Pay me”. Each told me to STOP paying my creditors and once they start harrassing me, these lawyers will get into a “suing” mode. I have NEVER missed a payment nor been late with a payment and do NOT ever pay just the minimum. At this point, not knowing WHO to believe….I found you on the web,and thought with all your experience you could give me some feedback. Many, Many thanx in advance. Looking forward to hearing from you. I moved your comment to this page with a brief overview of 6 mainstream ways to approach dealing with debts that are at or near overwhelming. Read through the article and the links to other content if a particular option interests you. Post more about any hardship or inability to keep current with your payments, and then lets go from there. I lost my job in 2010. They were paying my salary plus 100% of my family medical insurance premium and HSA deductible. My new position pays $23K less plus my total medical out of pocket expenses per year are around $13K including medical premiums. My wife has had a variety of physical ailments, hospital admissions, and has lost jobs in the process. She is now out of unemployment. This combination spiked my credit card debt up. I have three cards-Chase, Wells Fargo, & Capital One. Total pushing 29K. The Capital One account account ($12K) has been charged off and sent to Nelson, Watson & Associates in Haverill, MA. I also have two Parent PLUS loans for college for two kids-total $26K. These two accounts are in deferral status but that is lender discretion only. I live from paycheck to paycheck with the primary mortagage consuming one of those two paychecks each month. I don’t know where to start with this but my first concern is with the Capital One write-off. That is the only card that I was not able to pay on. Do you have an resources you can draw from to settle the Capital One account (even sell unused or seldom used items)? Are you able to set aside any money every month for cash savings? Are your payments to Chase and Wells Fargo current? Are you on any hardship repayment plans with those, or other accounts (interest rates reduced with lower monthly payments)? My husband and I are self-employed architects; we made most of our income from buying, renovating and selling houses in Florida. In 2005 we had our first child, followed immediately by Hurricane Wilma and the beginning of the downturn in the real estate market (at least in Miami). Lost income from clients who could no longer pay, plummeting real-estate values and a non-existant job market for architects left us with virtually no income for four years. We used our credit cards and savings, my 401k, sold our home at a huge loss, all with the idea that the market had to pick up soon and we would then be able to pay off our debts without filing for bankruptcy. We were terrified of bankruptcy because we depended on being able to get a mortgage to finance home purchases and renovations, our main source of income. In retrospect not filing was a mistake, the market never recovered in time for us and we accumulated a massive amount of credit card debt which we could not pay, somewhere around $50-60,000. Much of this has been charged off or we negotiated settlements; however we have two judgements, Amex for $1136 and Chase for $8566, which I’m going to try and settle, and a Citibank account that was bought by Asset Acceptance, original balance of $16,166 now pumped up to $26,340. My first question is how to handle Asset Acceptance; we cannot offer anywhere near this amount as our income is barely enough to cover our monthly expenses. I have $10,000 left in my 401k which I was planning on using to settle the judgements; for any other settlement attempt I will try to borrow money from family but this is limited. Our income, which is averaging between $35-45,000 per year, is dependent on my husband doing free-lance work for other architects; it is irregular and gives us little room to try to settle our debts or commit to some long term payment plan. In order to move beyond our present income limitations we need to be able to get a mortgage again, we’ve been turned down because of the judgements, delinquency, record of collections filed, time since delinquency and number of credit inquiries (from debt buyers, see below). My median credit score is 610, my husband’s is 590. We have periodically attempted to resolve the negative issues on our credit report but usually give up in confusion and frustration over what the best use of our meager resources would be. Our credit report shows the charged off accounts being reported as current even though most of them date from 2008/9. Asset Acceptance, along with another debt buyer, keeps pulling our credit reports which lowers them further. We get letters from the other debt buyer, Mullooly, Jeffrey, Rooney & Flynn, for outstanding balances that don’t show up on our credit report. My second question has to do with these old debts and the debt buyers; given that our end goal is to be able to qualify for a mortgage do we try to resolve them, ignore them and wait it out since most of them are 4-5 years old, or are we at the stage where our only recourse is the bankruptcy we’ve tried to avoid? Rose – You will need to knock out any remaining collection accounts and get those updated as zero balance owed before you can strategically improve your credit. You could be 12 months from realizing the first part of your credit goals if you were to settle all debts today. Amex is a small enough balance. Who was the collector on the Chase debt? What is the last correspondence you received from Asset Acceptance? What if any other debts are out there? Assume you can settle the Chase debt for 5k. Assume a 30% (ish) settlement with Asset Acceptance for roughly 8k. Can you pull together 13k? How long would that take? It sounds like you could qualify for chapter 7 bankruptcy. But I would hate to see you have struggled so hard to avoid it, only to file for what amounts to 8 or 9 thousand. You would likely find you are locked out of underwriting standards for a minimum of 2 years after the bankruptcy. If you wait out the credit reporting you have another 2 to 3 years, but that is not likely the case with the judgments. When were the judgments recorded with the court? Stumbled across your site while trying to find relief for court cost (not related to credit cards but for custody of our kids). In November of 2011 my husband was laid off. We used credit cards, all our savings, the small amount of money I made, and the little bit of unemployment my husband received to live on. During this time we fell behind a lot. We could only afford to take care of our needs. Now we both have better jobs and are needing to back on track so we can own a home. Together we have about $3000.00 of credit card debt, and $2000.00 in medical debt. I completely forgot we’d used my cards during this time until I received a call from an attorney. It was never my intent to not pay but it seems like we can never catch a break. If it’s not our lawyer needing money to proceed it’s something else. I am not sure where to begin and what steps to take. I hate talking on the phone due to the fact I hate being confronted and collectors are usually rude. Please advise on where I should start reading on your site. Lindsay – Can you tell me if all of the credit card and medical debt is in later stage collections (with a collection agency, collection attorney)? Are any of the debts still with your original creditors? Has the attorney office that contacted you sent you a letter? Is that attorney licensed in your state (look at the address given on the letter head – it may list several locations)? Answering those questions will help me direct traffic to the resources you need. The following was submitted to the site as a reader question about doing nothing about credit cards in collection to avoid bankruptcy. I am posting this as a comment and then my reply in order to consolidate content on the site. “Live in Los Angeles and am in collections for several credit cards that went unpaid since the economic downturn (perhaps totaling under 8,000 without the discounted settlement offers) – receive regular phone calls from Portfolio Recovery and others which I ignore (mail from collection agencies have diminished). And I also have an emergency room visit charge that went to collections. Was recently served on Feb 11 2013 with lawsuit from Resurgence Capital LLC, Nathan A Searles, Resurgence Legal Group Cypress CA for my Wells Fargo Bank NA VISA credit card debt for 2953.66 plus 10% interest per annum from 5/31/11. My income for 2012 was under $5500. This is income from twice a year spring and fall temp service job for approx $2000 that are direct deposited. Ongoing self employed office work for $3000. (After doing my TurboTax online with both my W-2’s and 1099 I will have to pay $49 tax this year.) Have checking/savings acct with Wells Fargo. Savings account in credit union in Hawaii under $150. Am a named partner in a WFB bank business checking account. Did a Chapter 7 bankruptcy on my own in 2003. Is doing nothing advisable? Don’t want to deal with going to court at all and can try my best to judgment proof myself, but eventually that may be more problematic. Can my twice a year temp service income be garnished even though they are not regular weekly paychecks? Can my Hawaii credit union account be levied? Should I consider doing another Chapter 7 bankruptcy, when the time frame allows, to avoid further collection activity down the road considering the interest rates. I received one collection agency notification that the debt was already too old for them to file suit but that my credit score (not really my concern at this point). With a total debt owed out to collection agencies of 8k, and without the ability to come up with money for settling the debts, or otherwise resolve them, doing nothing for a little while longer can make sense. Like I mention in the above post, doing nothing is not really the best debt solution (or really solving anything), but it is a temporary plan. And with debts past the SOL with no immediate concerns for recovering your credit report or score, doing nothing with some really old bills will prove the right debt solution. If you are out looking for more work and do increase your income, and continue to live as frugally as you must be now, saving up money as quickly as possible to settle your Wells Fargo and other collection accounts, can help you avoid filing bankruptcy again. While you are saving up, if you wanted to bite the bullet and file chapter 7, you would have the filing and attorney fees saved up. The judgment debt is not going to go anywhere, so if you do end up past the SOL for other collection agencies to sue, you will still have this one to contend with. You can settle judgment debt like collection accounts, but the settlement amount is typically higher. Is your monthly income situation one that you think will improve in the future? Yes, I do expect my monthly income situation to improve, but realistically not soon. How much does it cost to file Chapter 7 and is it feasible to try to do it myself again to avoid attorney fees? I am concerned about garnishment efforts – is my situation as described vulnerable to that? What is the time frame for the judgment going through and bank levy/garnishment action to commence? And is my out of state credit union bank account at risk? Thank you for this invaluable service you offer. MP – Your situation does not sound overly complicated. Filing bankruptcy without an attorney is something to consider. If you filed bankruptcy yourself before, you will probably not have much difficulty. Bankruptcy laws changed in 2005, so it will be a little different. You now have to get a certificate of pre and post bankruptcy counseling which is available from different gov approved agencies, most of which are nonprofit credit counseling services. You can call a counselor and get that started at: 888-317-8770. Just mention you are calling about pre-bankruptcy counseling. You have already been sued. If you do nothing with that, you will end up with a default judgment for an inflated amount based on attorney and court costs. An attempt to levy a bank account in order to collect could occur within weeks of a judgment. Starting the bankruptcy process (filing the petition), and notifying the attorney suing, will stop the lawsuit in its tracks (or judgment). The costs of bankruptcy will will be several hundred dollars even without the attorney fees related to hiring your own attorney. With your limited income you may qualify for low income legal aid assistance with the bankruptcy, so look up some resources for that in your area of California. Los Angeles will likely have several of these types of offices. Yes, it is possible that an out of state credit union would be at risk of a bank levy. It is less likely than having your account around the corner get hit with a levy though.